Photolithograph. 1910. 8&7&347;8 x 6 in (22.5 x 15.2 cm). 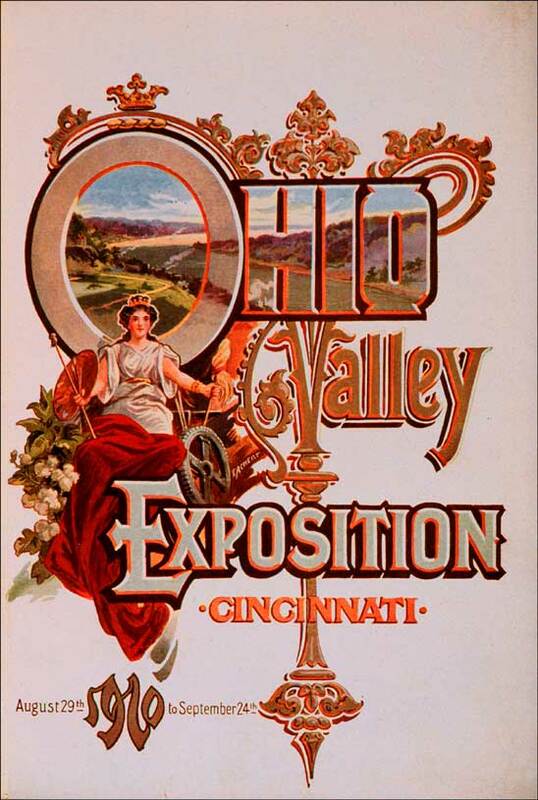 Prospectus...Exposition to be Held in the City of Cincinnati, August 29 to September 24, Inclusive, 1910. Cincinnati: Krehbiel Press, 1910. Title Page. Rare Books and Special Collections Department.